I am fortunate to have some wonderful friends. I’ve been playing cricket for Napier Old Boys’ Marist for ten years now and have been club secretary for five of those years. Working and playing with the same people over such a long time forms some tight bonds and I do consider a lot of my club-mates as family. Hawke’s Bay’s social media community – especially the local Twitterers are also one of the, literally, most social groups of people I know and we have formed some very strong friendships with people we have met via the interweb. So when the two combine, something special can happen. I had the pleasure of being involved in just such an occasion this month. Culinary genius and all-round good bugger, Kent Baddeley of Ten 24, had taken to Facebook to get input on ideas for dinner events over the coming months. I chipped in with a cricket-themed dinner concept to celebrate the Cricket World Cup games being held in Napier. I and a couple other Facebook friends brainstormed dish titles like “Silly Mid Off”, “Bowl a Maiden Over”, “The Ashes” and the like. Kent liked the idea and set me the task of coming up with a menu, pricing etc. and getting a crowd along. 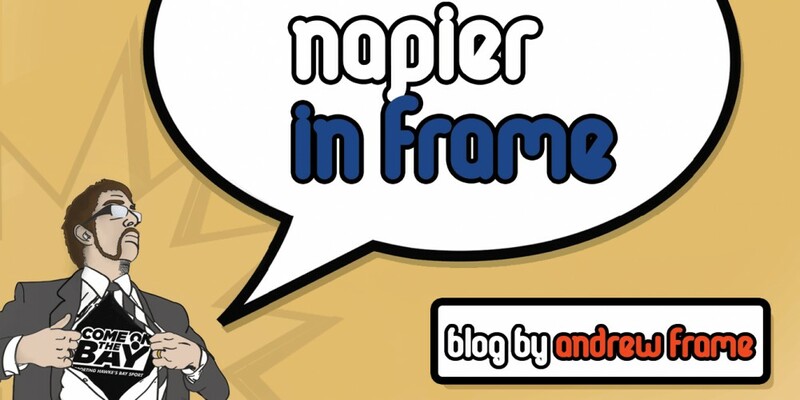 If I could do it, Mrs NapierinFrame and I could dine for free – now there was an offer I couldn’t refuse! Where could I find a couple dozen people who like cricket and food…? I know – My cricket club!! So early this month a diverse group of my fellow club and team-mates gathered in “Pakowhaishire” for what would be a truly glorious dinner. Kent had kept the course names, but came up with his own wonderful dishes (as I’d hoped he would) and all the guests, many of whom had never been to Ten24 before but will surely be back, were gob-smacked. Pictures were taken, tweets were sent and statuses were updated, and the whole occasion bounced around the world on social media and by word of mouth for days afterwards. The more people heard about it, the more wished they were there. It looks like this may even become an annual event, with even more attendees and I hope it does because, as I said, I am fortunate to have some wonderful friends! This entry was posted in Hawke's Bay, Media, Social Media, Sport, Writing and tagged Food & Drink, Hawke's Bay, Media, Social Media, Sport, Twitter by Andrew Frame. Bookmark the permalink.